作者：Julia Schnebly-Black; Stephen F. Moore Ph.D. 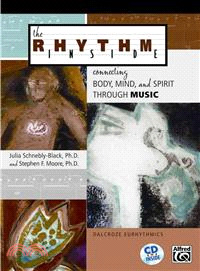 Through the techniques of the popular Dalcroze-Eurhythmics, this insightful 64-page book provides the tools to engage your students' inner creative resources and connect the body, mind, and emotions through rhythm and movement. Music and movement exercises provided on the CD will help students discover the benefits of eurhythmics, which can be applied to music-making, teaching, learning, and life.